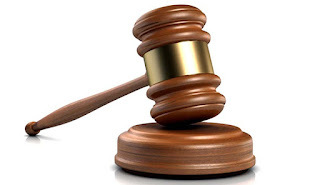 CHIREDZI – The Masvingo acting District Nursing Officer (DNO) Georgina Zanga is said to have obtained a peace order against her husband of 20 years because of an alleged extra-marital affair that she is running. The order issued on the grounds that the husband once assaulted his wife was given by a magistrate on Monday last week. The desperate husband, Tasunungurwa Chivonivoni who has six children with Zanga told The Mirror that his wife got into a relationship with Tasangana Mawisire after she was transferred from Chiredzi to Masvingo. He said that after the transfer in 2016 Zanga would come home to Chiredzi every weekend and then she started skipping weekends and he started getting threatening messages from Mawisire who claimed that he worked for the President’s office. Zanga promised to call back when contacted by The Mirror for a comment but later ignored the calls and ultimately switched her phone off. “Who told you about that issue, can I call you back in a moment” said Zanga. Mawisire said he did not know the person that The Mirror was talking about when he was called on his number. He then switched off his phone. However a person using the same number later phoned The Mirror assistant news editor protesting against the publication of that story. The person with the number later came and met the assistant editor and said that there was someone at the newspaper who wanted to write a bad story about his sister. “My wife was transferred to Masvingo in 2016 and since we have a house in Chiredzi and I work there we agreed that I stay put with the family. She would come over during the weekends. Things were normal until recently when she started skipping weekends and suddenly I got anonymous messages informing me that she was in love with a certain man. After investigations I went to Masvingo and she confessed to having an affair with Mawisire and I destroyed her bed in anger,” said Chivonivoni. Sources at the President’s offices said there was no one with that name working there. They said that the person might be a con- artist. Chivonivoni who says that he is in a state of shock because of the behavior of his wife suspects that juju was used on her. He said efforts to convince her to leave Mawisire had come to naught. “The man mocked me that I was not the biological father of my 3 year-old twins. I took the kids and my wife for DNA tests and the results were positive. My wife tells her boyfriend everything we discuss. She is no longer the same person. She has taken me to court and she was granted a peace order against me. In the court she identified me as her former husband,” said Chivonivoni.